At last year’s “Gumbo Ya Ya,” students participated in painting a “These Hands Don’t Haze” sheet sign. 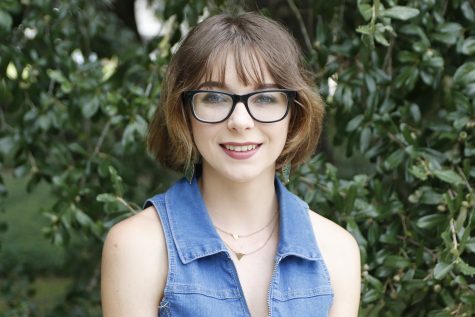 Since the death of Louisiana State University student Max Gruver, the state has taken stricter stances on hazing activities. 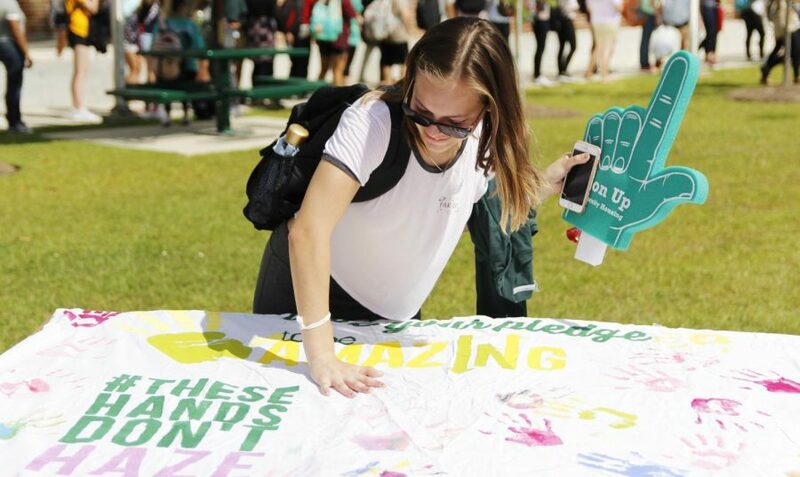 In addition to the university’s “These Hands Don’t Haze” event, the university will be celebrating National Hazing Prevention Week with events throughout this week. President of Sigma Tau Gamma Lane Taillon, a senior industrial technology major, explained the usual hazing prevention seminar his chapter participates in. Taillon shared some of the myths he encountered when he first decided to join a Greek organization. Although Taillon has never met someone who wanted to be hazed, he is aware of the media’s role in an individual’s perspectives of hazing. President of Kappa Alpha Order Tyler Olivier, a senior marketing major, pointed out the false belief that hazing is unique to Greek organizations. Olivier also expressed frustration with overdoing hazing classifications. According to Olivier, a pledge has never expressed interest in being hazed to him as a collegian, but as a pledge, his fellow pledges would often say they wanted to be hazed. Olivier explained KA’s hazing prevention efforts. Taillon explained the “endless battle” fraternities face due to the media portrayal of their organizations. Olivier feels it is important to raise awareness of the dangers of hazing. “People need to know that it is still prevalent and that both the university and organizations are all on the same page when it comes to standing up to those that find hazing to be beneficial,” said Olivier.